We offer a full range of hosting and domain services including domain registration shared or dedicated hosting and email facilities. This means that your whole project can be managed with just one point of contact leaving you more time to run your business without having to get involved in the technical aspects of setting up a website. 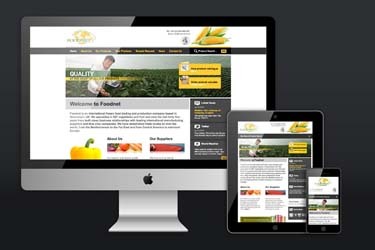 We build fully content managed websites using a CMS system which you can maintain yourself. For more advanced websites with very specific requirements, for example customer login, media sharing or perhaps a searchable database, we develop a full web based application to suit your needs. It is becoming increasingly common for web to reach out beyond static pages and information with many business owners authoring their own blogs and cross promoting via face book and twitter. If you are looking for anything from word press installation to a full branding across all social media networks, we can manage the whole process. If you are looking for a company logo or re-brand or need a specific graphic for your site such as a map, chart or product illustration, our professional illustrator provide just what you need. With broadband speeds in the world getting faster, it is advantage to include audio or video content on your website. With in-house editing facilities, we can easily compile audio or video footage into web ready formats and media-bites. If you intend to sell a product or offer a subscription service from your site Onlinenewsmedia can create an e-commerce system tailored specifically to your needs with world class standard.